depending on the age and lifestyle of your dog. For dogs under 12 months old. This recipe provides the building blocks for growing puppies with a balanced ingredient list to nourish and support growing muscle and bone. 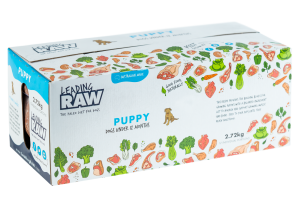 Feed to your pups until they reach adulthood. For dogs over 12 months old. This recipe is ideal for adult dogs from one year of age and in the prime stage of their life. Containing essential balanced nutrition to sustain regular activity, sound health and immunity. For dogs over 7 years old. 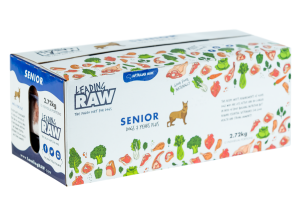 This recipe meets requirements of older dogs who are less active and no longer in need of body building nutrition but require essential sustenance for good health and strong immunity. 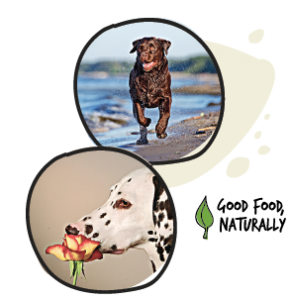 Active, working & breeding dogs. 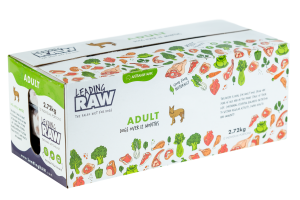 For active, working and breeding dogs needing extra fuel to compete, perform and nurture. 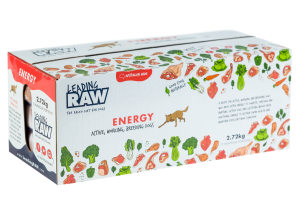 Active dogs and lactating broods need extra energy to sustain sound health and maintain excellent body condition. products are from human consumption facilities. Improved skin and coat condition. Reduced body / breath odour.